Five project to develop active travel or low carbon transport hubs, including the installation of a new hydrogen refuelling station, have scored £3.25m in funding from the European Regional Development Fund (ERDF). Transport Scotland’s objectives include increasing the number of ultra-low emission vehicles on Scottish road. Announced by Scotland’s Transport Minister Humza Yousaf, the projects include the development of the Broxden Low Carbon Transport Hub, Perth, featuring the introduction of a hydrogen refuelling station and the expansion of existing electric vehicle charge points. The hub will also introduce an ultra-rapid (150kW) electric vehicle charge point, and upgrade the electricity sub-station for ultra-rapid charging. 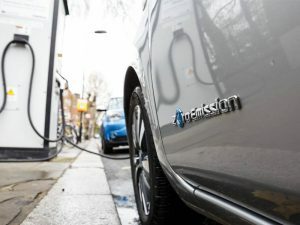 Meanwhile Falkirk Council is to introduce a public-facing active travel hub in Falkirk town centre and a low carbon vehicle hub at Falkirk Community Stadium that will provide 20 electric vehicle charging bays and a 168-bay solar array to harness energy for charging at the low carbon hub. The announcement of the projects follows last December’s launch of the ERDF Low Carbon Travel and Transport (LCTT) Challenge Fund, which is open to public, third and community sector organisations and is intended to help drive Transport Scotland’s objectives of encouraging drivers to turn to walking, cycling and public transport as well as increasing the proportion of ultra-low emission vehicles on Scotland’s roads.